The CIA’s “Electronic Reading Room” site at https://www.cia.gov/library/readingroom/ . Louis Meulstee’s site, especially the “Volume 4 update” pages: http://www.wftw.nl/b-one-default.html . A great book is available! 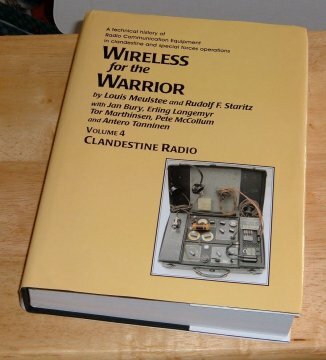 It is Volume 4 of the "Wireless for the Warrior" series by Louis Meulstee and Rudolf Staritz, and it is an encyclopedia of clandestine radios from all over the world. Over 230 sets are covered, with 850 pictures - 692 pages in all. I contributed much of the info for the U.S. sets. NOTE: I do NOT have a financial interest in sales of the book, although I certainly feel it is a great reference, and by far the biggest/best book ever published on this topic. To order online go to the following link, Click the "Search" button on the left, and then enter 'clandestine': http://www.epemag.wimborne.co.uk/acatalog/ . Louis' web site has info about the content, and a phone # to contact the publisher: http://wftw.nl/ . Since before the time of Sun Tzu, communications have played an important role in the collection of intelligence. With the advent of effective portable radio technology in the 1930's, it became feasible for an operative to send and receive information quickly and independently from within enemy territory. Wherever possible, this document goes into technical detail on the equipment, and some conclusions are drawn regarding the intended purpose for certain features. 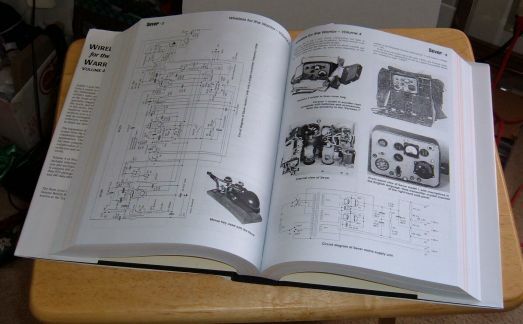 Some comments are made of a practical nature, for those people that own one of these sets and would like to restore it or use it for Amateur Radio communications. Is it real "Spy Equipment"? 1. The item was designed (in whole or in part) by CIA personnel. Example: The RS-1 set. 2. The item was designed by a contractor, but to CIA specifications. Possible examples include many of the later Cold War sets. 3. The item was a commercial item, but was bought under a specific CIA contract. Example: Certain SP-600 receivers. 4. The item was actually constructed by CIA personnel. This criterion probably applies mostly to prototypes. 5. The item has a CIA-specific designation - typically RS-x, RR-x or RT-x. 6. The item was "standard issue" to a number of CIA employees. Example: The Minox model "B" camera. 7. The item was adopted from a different intelligence organization, including foreign (such as SOE or MI-6), but widely used by CIA personnel. 8. The item was adopted from the military, but widely used by CIA personnel. Example: The GN-58 hand-crank generator often used with the RS-1 set. 9. The item was adopted by the military from an existing CIA item. Examples: The AN/GRC-109 and RS-6 sets. 10.The item was carried/used by a CIA employee. 11.The item was carried/used by a famous CIA employee. 12.The item is known to have been used in a specific spy operation. The early Minox cameras are often called "spy cameras". They were bought in large numbers by intelligence organizations all over the world, and used in many real spy operations. However, the exact same models and accessories were also bought by tourists traveling in Germany. Is any Minox a "spy camera"? Or only those that were owned by CIA personnel? Or only those that were purchased under a CIA contract? Or only those that were actually used for spying? The AN/GRC-109 radio set is essentially identical to the CIA's RS-1 set – both were very likely made with the same parts in the same factory. Only the markings are really different. Some GRC-109 sets were likely operated by CIA personnel in Vietnam. And, some RS-1 sets were used by Special Forces personnel, before the GRC-109 was available. Is either of these sets 'clearly' a CIA set or a Special Forces set? The RS-6 set is a CIA design with a CIA designation, but it appears that the military procured the majority of the sets that were made, and they did not assign a military designation to it. Is the typical SAC-surplus RS-6 set a "spy radio"? If more information were available regarding serial numbers and contracts, then we could be more accurate with the terminology. Perhaps the conclusion is that whenever possible the facts and origins of an item should be spelled out, and each collector or researcher should describe his/her criteria for labeling something as a "spy item". It is partly inaccurate to say that an RS-6 set is a "SAC survival radio", or that a Minox camera is a "spy camera". Bud was a veteran of the Office of Communications, and was active in the retiree’s community. He told me many interesting stories, and gave commentary on a variety of CIA radio gear. Bud was a principle engineer on the RS-49 project. When I would ask him a question about radio equipment, he would query the “GrayBeards” (retired Commo veterans) to try and get me an answer if he didn’t know himself. For example, he identified the RT-4 transmitter after seeing a picture. Bud died in a car accident in 2012.
https://www.cia.gov/library/readingroom/docs/DOC_0000624340.pdf . Their story is also in Keith Melton's "Spycraft" book. Mr. Szuminski helped me identify TSD-related items, such as the ST-2A transmitter. "During World War II he served with the 84th Infantry Division, 334th Battalion (the Railsplitters) as a company commander. After suffering severe wounds in Gilenkerchen, Germany, November 1944 he was retired from the Army. The Drums moved to Washington, DC in 1945 where he [eventually] joined the CIA. Under Allan Dulles he was asked to develop and direct a division he helped name, the Technical Services Staff which has evolved into the present day Office of Technical Service. "The Drum Award" was established in his name in 1995 to recognize extraordinary contributions to selected recipients in the Agency." I learned in 2002 that Bob Olsen had died a couple of years previous. Mr. Olsen was the first CIA communicator that I had met back in about 1996, at a reunion of former Saipan residents. An interview with Mr. Olsen is found in the "Miscellaneous, Notes, and Bibliography" section. To provide a background for the equipment presented here, the following is a chronology of some major events in the history of U.S. intelligence services. · July 11th, 1941. The Office of the Coordinator of Information (COI) was formed by Executive Order 8826, with William J. "Wild Bill" Donovan as the Coordinator of Information. It is unknown what, if any, specialized clandestine radio equipment was in use at this time. It is possible that existing military and commercial equipment was used. · June 13th, 1942. The Office of Strategic Services (OSS) was formed under the leadership of William Donovan, by a Military Order from President Roosevelt. The equipment used by the OSS typically has a designation similar to "SSTR-x". Radio equipment includes the SSTR series, the SSTC series, etc..
· September 22nd, 1942. The Communications Branch of the OSS is formed by General Donovan. An R&D Division was formed about two months later. · September 20th, 1945. The OSS was disbanded by President Truman. · January 1946. The Central Intelligence Group (CIG) was formed, with Rear Admiral Sidney W. Souers as the first Director of Central Intelligence (DCI). CIG included the Strategic Services Unit (SSU), which managed the assets of the former OSS. Most likely, little if any new equipment was introduced during this transition time. · July 1947. The Central Intelligence Agency (CIA) was formed by the National Security Act of 1947, with Rear Admiral Roscoe H. Hillenkoetter as DCI. The development of the RS-1 and other early CIA radios began at this time, or shortly thereafter. Most equipment developed by the CIA tends to be designated like "RS-x" for a radio set, "RT-x" for a transmitter, and "RR-x" for a receiver. Some sets were known by their manufacturers' designations. · June 1948. The Office of Policy Coordination (OPC) was formed to be the "direct action" arm of the CIA under Frank Wisner. The OPC turned out to be an awkward arrangement because it received its funding and personnel from CIA, but it reported directly to the Secretaries of State and Defense, bypassing the DCI. The OPC is known to have inherited some existing communications equipment projects. The OPC included many ex-OSS personnel, and there was competition with the Office of Special Operations (OSO). The OSO personnel were formerly the SSU within the CIG. · August 1952. To resolve the conflicts, the OPC and OSO were merged to form the Directorate of Plans, under the leadership of Allen Dulles. By this time, the RS-1, RS-6, and other sets were in use in the field. · December 17th, 2004. President George W. Bush signs legislation creating the National Intelligence Director, which has certain powers to oversee the CIA and other intelligence agencies.